Gold Symphony trained by PEter Moody wins at Caufield to secure his second G3 victory. Reward For Effort has taken an early lead on the Australian second-season premiership following Gold Symphony’s brilliant start to the season at Caulfield. 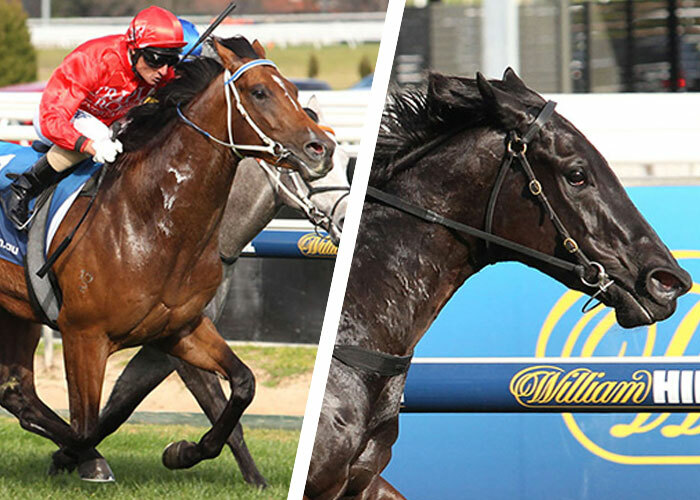 He has progeny earnings of $247,360 to lead Widden Stud’s Star Witness on $215,350. Gold Symphony won a Mornington maiden in July and is unbeaten this season with Group 3 victories in the Vain Stakes (1100m) and McNeil Stakes (1200m). The Peter Moody trained colt asserted his superiority in the latter after spearing through a gap to defeat Ready For Victory (More Than Ready) and Demonstrate (New Approach). 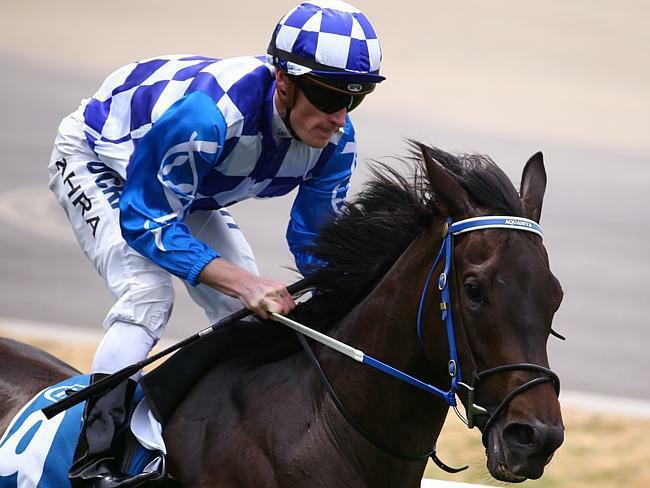 “He’s sharpened up mentally and physically he’s better,” jockey Glen Boss said on Saturday. Gold Symphony (3c Reward For Effort – Tzaress by Stravinsky) has earned $231,950 including $26,300 in VOBIS incentives. Gary Mudgeway’s Grange Thoroughbreds sold him to Triple Crown Syndications for $100,000 at the 2014 Inglis Melbourne Premier. Reward For Effort also sired Marie Clare to break her maiden at Devonport on Saturday. The Star Thoroughbreds filly is the 12th individual winner from his first crop. The Chatswood Stud stallion won the Victorian freshman title last season and he is standing for a $11,000 (inc gst) service fee. 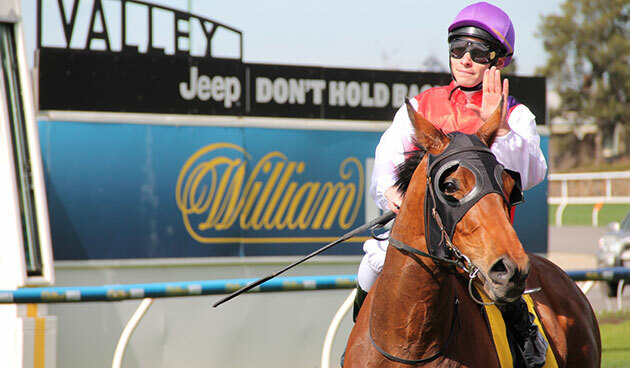 Group 1 winning Victorian sired racehorse, Hucklebuck, has been named South Australian 2014-15 Horse of the Year. It was also a further accolade for Blue Gum Farm’s multiple Group 1 winning champion stallion Elvstroem. Hucklebuck (5g Elvstroem – Kondari by O’Reilly) edged out Happy Trails at the TRSA Industry Awards held at the Stamford Grand in Glenelg. He was bred by Terry Board and is raced by Macau based owner Thomas Li. 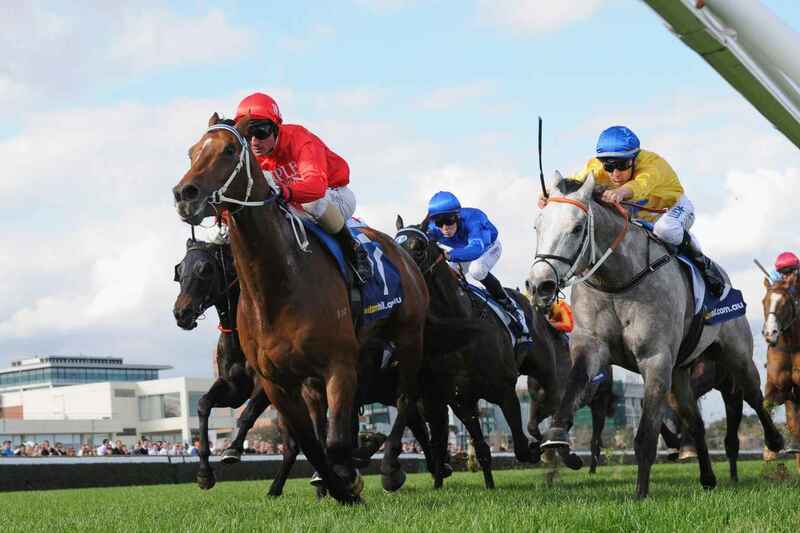 Trained by Philip Stokes at Morphettville, he was unbeaten during a spring campaign that comprised wins in the LR Durbridge Stakes at his home track before crossing the border for victories in the G3 Yellowglen Stakes and the G1 Emirates Stakes at Flemington. Hucklebuck pulled up sore after an unplaced run in the G1 Goodwood (1200m) in May and has just returned to work for a tilt at the G1 Darley Classic (1200m) at Flemington in November. He is also eligible for the Gold Coast carnival in January. Elvstroem (Danehill) has sired 11 stakes winners and, apart from his South Australian Horse of the Year, the honour-roll includes Outback Joe (G2 Adelaide Cup), Go The Knuckle (G2 Yallambee Classic) and Carrara (G2 Bill Stutt Stakes). He retired to Blue Gum Farm after a career highlighted by Group 1 wins in the Victoria Derby, Caulfield Cup and Dubai Duty Free Stakes. Blue Gum Farm stands him for a $4,400 (inc gst) fee. Under-rated stayer Magnapal will be given in a chance to qualify for the G1 Caulfield Cup after opening his black-type account in the LR Heatherlie Hcp (1700m) at Caulfield. Magnapal is the 9th stakes winner by Eliza Park International sire Magnus and trainer Terry O’Sullivan has higher honours in mind for the gelding who will be nominated for the G3 Naturalism Stakes (2000m) next up on September 19. “He’s nominated for the Caulfield Cup and will qualify if he wins the Naturalism,” O’Sullivan said. Magnapal (6g Magnus – Luxapal by Kenny’s Best Pal) settled just behind Onpicalo and overhauled the leader when jockey Luke Currie produced him at just the right time on Saturday. It was his second win in a row following a first-up Sandown victory over 1400 metres on August 12. 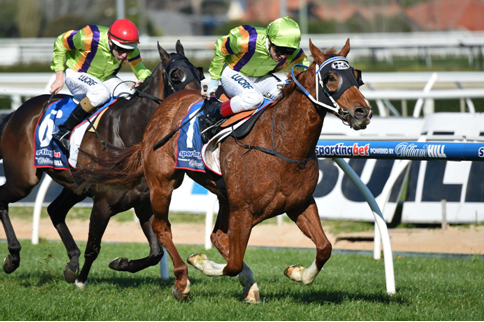 “We had a nice run from a good draw and he showed a good turn of foot at the top of the straight,” Currie said. Magnapal is from the first crop by Magnus – so is Group 1 winning Perth mare Magnifisio – and is a half-brother to the stakes performers Red for Lou (Testa Rossa) and Miss Elvee (Elvstroem). He was sold by Yallambee Stud for $70,000 at the 2011 Inglis Premier and is raced by William Gee, John Jolley and Lewis Warner. Magnus (Flying Spur) is standing this season for a $17,600 (inc gst) service fee at Eliza Park International. Joe Swiper easily accounts for the field at Singapore on Friday night. Cecconi celebrated the relaunch of his stud career in Australia with a four-length winner in Singapore on Friday evening. 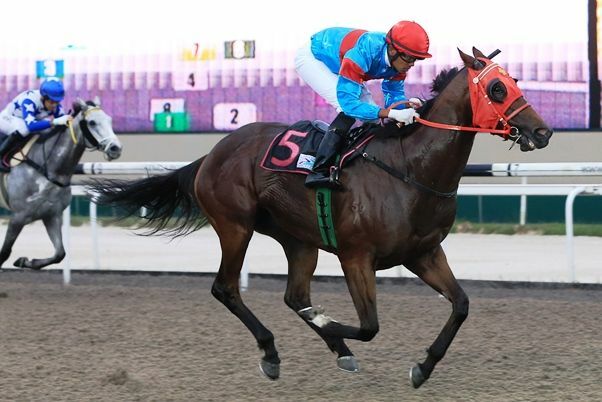 The Moorookyle Park recruit was in the frame when Joe Swiper bolted in over 1200 metres at Kranji. The Leslie Khoo trained gelding showed a brilliant turn of foot to skip away from the favourite Secret Spice (Sakhee’s Secret). Joe Swiper was placed in trials at Wanganui and Waverley for trainer Ilone Kelly before transferring to Singapore. He’s the first foal of Moylan (Dash For Cash) who was a Flemington winner for owner-breeder Rick Jamieson. Second dam Rachael’s Pride (Akhadan) was placed in Magic Millions 2YO Classics in Adelaide and Perth and she also earned minor black-type in the LR Dequetteville Stakes. Cecconi (Encosta de Lago) was a brilliant Blue Diamond Preview winner for trainer David Hayes before retiring to stud at Westbury Park in New Zealand. He was repatriated to Victoria earlier this year and is about to start covering his first book at Moorookyle Park in Smeaton. Moorookyle manager Nioka Wozny is standing Cecconi for a $3,300 (inc gst) service fee and she can be contacted on 0427 456 385. Swettenham Stud stallion Americain (USA) has 15 yearlings catalogued for the world-renowned Keeneland Sale starting on September 14. Americain covered his first mares at Kentucky’s Calumet Farm in 2013 and has served full books in his first two southern hemisphere seasons at Nagambie’s Swettenham Stud. His first Keeneland yearling is Lot 535, a filly from G3 Santa Ynez Stakes winner Queen Of Money (Corporate Report). She has already foaled the black-type winners Quiet Cash (Real Quiet) and Pocketfullofpesos (In Excess). The chestnut filly is an April 1 foal and is being offered by John Stuart of Bluegrass Thoroughbred Services. Stuart has also catalogued the next Americains going under the hammer – fillies from Strike The Light (Smart Strike) and Avolo (Smart Strike). Dynaformer (Roberto) died at Three Chimneys Farm three years ago and his 129th stakes winner arrived last Saturday (August 21) when Honey Lake claimed the Listed TOC Hcp (2200m) at Del Mar. In North America, Dynaformer’s burgeoning sireline includes Temple City who has been represented by 5 stakes winners in his first two crops. He is based at Spendthrift Farm and had 4 two year-olds on USA Free Handicap in 2014 plus 6 Triple Crown nominees this year. Dynaformer Group 1 winner Point Of Entry has his first foals on the ground at Adena Springs this year. He defeated Kentucky Derby – Dubai World Cup winner Animal Kingdom in the G1 Gulfstream Park Turf Hcp and was the first horse since Theatrical to sweep the G1 Man o’ War Stakes, G1 Sword Dancer Hcp & G1 Joe Hirsch Turf Classic in same year. Another son of Dynaformer just starting out at stud is Three Chimneys Farm sire Brilliant Speed. He claimed the G1 Wood Memorial and was placed in a G1 Breeders’ Cup Turf. Americain spearheads the Dynaformer sireline in Australia and Swettenham Stud will catalogue his first southern yearlings at the 2016 Inglis Melbourne Premier Sale. 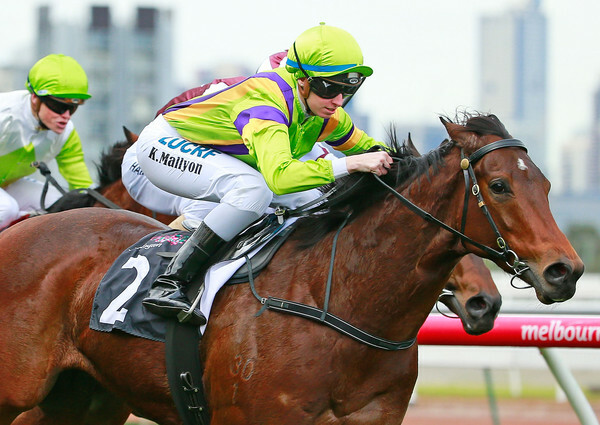 “He was a superior stayer with a sensational turn of foot and will be an asset to the Victorian breeding industry,” says Swettenham owner Adam Sangster. 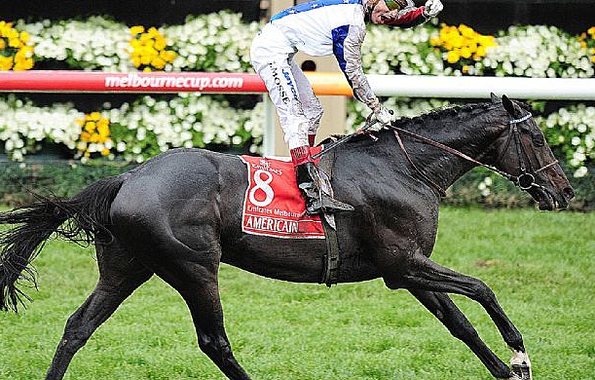 Americain is standing for a $13,750 (inc gst) service fee at Swettenham this year. Fresh from winning a second Victorian 2YO sires’ title, Blue Gum Farm champion Turffontein can claim his first Group 1 when his daughter, Fontiton, resumes in the Moir Stakes (1000m) on October 2 at Moonee Valley. Fontiton won the G3 Blue Diamond Preview (1000m) and G2 Blue Diamond Prelude (1100m) earlier this year before losing her unbeaten record in the G1 Blue Diamond Stakes (1200m). She pulled up with heat stress plus a joint injury that required surgery and her effort to finish a fighting fifth was first class. The Robert Smerdon trained filly returned to action with an exhibition gallop between races at Ballarat on Thursday. 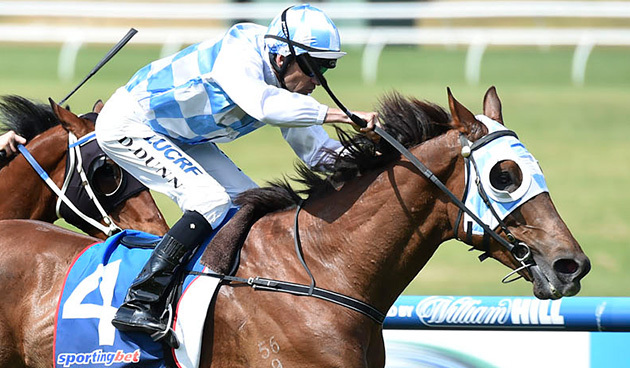 “It was a nice bit of work up the straight and she will keep ticking over at our hill track at home,” Smerdon said. “It gave her an adrenaline rush and a day out at the races. Fontiton (3f Turffontein – Personal Ensign by Rubiton) was bred and sold for $110,000 by Blue Gum Farm at the 2014 Inglis Melbourne Premier yearling sale. Matchem Racing managers Byron Rogers and Matthew Cain own her in partnership with James Price and (Inglis Win a Share in a Racehorse 2014 competition winner) Vasko Ognenovski. Turffontein’s first crop leader Fontein Ruby won to Group 2 level in the Edward Manifold Stakes and his third crop of yearlings fetched up to $170,000 earlier this year. The success of Fontiton and Fontein Ruby contributed to Turffontein being crowned champion first and second season sire in Victoria respectively over the past two years. Blue Gum Farm stands him for an $11,000 (inc gst) service fee. More details on their webpage. 2014/15 VOBIS Bonus Premierships run and won! VOBIS Bonus Premiership winner, Rough Justice, wins at Flemington in June collecting both Super VOBIS and VOBIS Gold bonuses. The 2014/15 VOBIS Bonus Premierships for Racehorse, Breeder and Sire have been finalised with a few Victorian regulars taking out the titles. These premierships are based on the total level of VOBIS Gold and Super VOBIS bonuses earned through the season. The premierships do not include prizemoney gained in the lucrative VOBIS Gold Premier Race Series. In 2014/15 more than $7.5 million was handed out through Super VOBIS and VOBIS Gold bonuses across Victorian racecourses. Wanted gelding, Rough Justice, trained by the Ellerton Zahra partnership, made a successful late run to take out the title of VOBIS Bonus Racehorse of season 2014/15. The Contract Racing homebred earned $84,000 in VOBIS bonuses; beating to the title another late season, multiple bonus winner in Radical, trained by Peter Moody. Von Costa de Hero filly Jurasound, trained by Euroa’s Lindsay Park operation, came in third. Interestingly, the top 10 racehorses in the VOBIS Bonus premiership were all by different sires – and seven of those sires stand in Victoria. Contract Racing had a consistent year yet again in targeting VOBIS bonus races allowing them to collect the leading VOBIS Bonus breeder title. The Macedon Ranges breeding operation, owned by David and Jenny Moodie, collected $359,900 in bonuses with Darley in second place and Dorrington Farm’s Rob Crabtree coming third. The VOBIS Bonus Sire premiership went to Eliza Park International legend Bel Esprit with his progeny having earned a tick over $400,000 in bonuses. 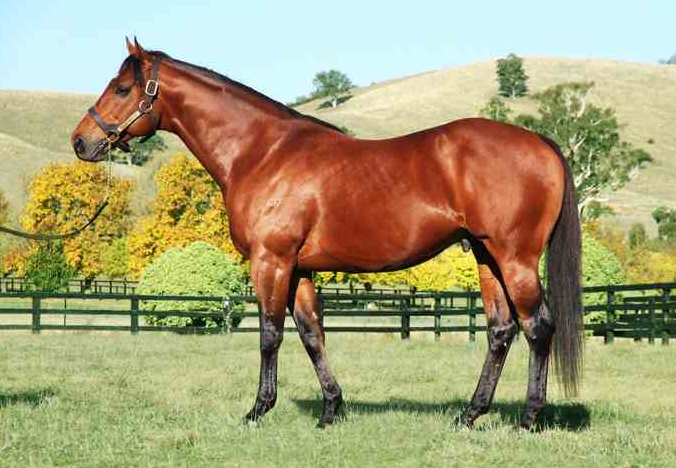 His younger stud mate at Eliza Park, Magnus, was a close second – just $23,000 in bonuses behind. Woodside Park’s Written Tycoon placed third. Eight of the top 10 VOBIS bonus earning sires were Victorian based stallions. The 2015/16 season offers even more for VOBIS horses including the expansion of the VOBIS Gold Premier Race Series to a record $2.8 million over 15 races. VOBIS Gold nominations for current season two-year-olds are due by August 31st. More information available at the VOBIS Gold webpage. The full Top 10 VOBIS Bonus Premiership tables are available on the TBV website. Spendthrift Australia, a newcomer to Victoria’s stallion farm ranks, will hit the ground running when the 2015 covering season commences next Tuesday, 1st September. The new stud is a major investment into Victoria by the United State’s based Spendthrift Farm owned and run by B. Wayne Hughes and his family. The Macedon Ranges property acquired by Spendthrift was previously known well to the local breeding industry as Yallambee stud. High-profile shuttler Warrior’s Reward (USA) has attracted strong support from broodmare owners and the Group 1 winning son of Medaglia D’Oro has settled in well at the Romsey nursery. “His coat is shining and boy is he eating,” stallion handler Wayne Howard said. Spendthrift’s Kentucky based farm bred over 2,600 mares this year which was more than any stud in North America. Those numbers were achieved as a result of the breeding programs initiated by owner B Wayne Hughes. “I believe breeders will benefit from our programs no matter the location. That’s why we brought them to Australia,”Hughes said. Spendthrift’s general manager Garry Cuddy is driving the Australian operation and he’s delighted to have the innovative program in place. “The ‘Share The Upside’ program creates lower costs and an additional source of potential profit for the breeder” Cuddy said. Sire of 9 stakes horses and in excess of US$2m in prizemoney. Interested breeders can contact Garry Cuddy on 0410 451 595 for more information on how to secure lifetime breeding rights. 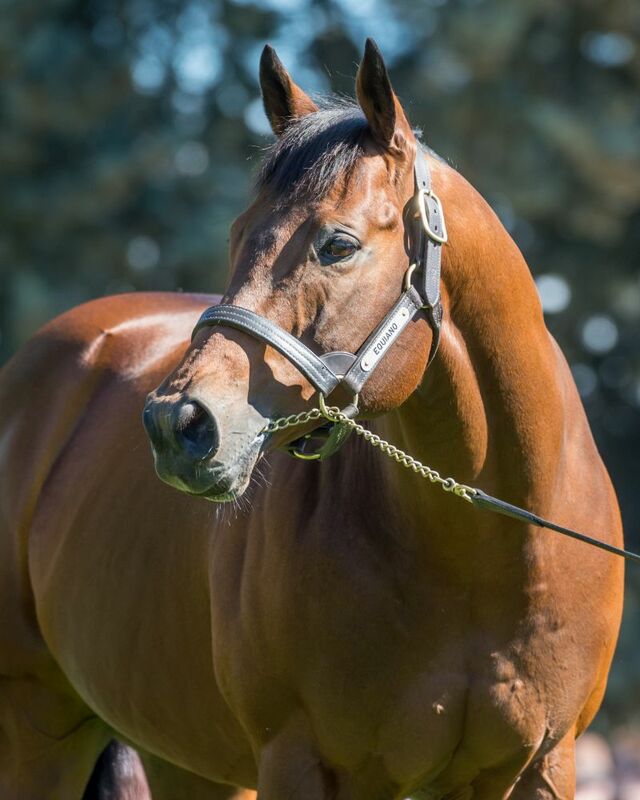 Spendthrift are offering people the opportunity to see the stallions in the flesh every day between 1 – 3 pm (by appointment). Eliza Park International’s Bel Esprit has re-confirmed himself as a great of the Victorian breeding industry by winning the Champion Victorian Stallion for an eighth consecutive season. The award was presented at the annual Victorian Thoroughbred Racing Awards held at Crown Melbourne on Sunday night. He successfully defended his Victorian sires’ crown with earnings over $5.66 million in 2014-15. Incredibly, it was his 8th consecutive title. Bel Esprit won this year’s title from three other Victorian-based sires that passed the $5 million mark – Darley’s Reset ($5.16m), Eliza Park International’s Magnus ($5.14m) and Woodside Park’s Written Tycoon ($5.08m). Bel Esprit was represented by 138 individual winners in 2014/2015 with total earnings of $5.66 million. His winners included black type winners Afleet Esprit and Iconic. Bel Esprit has passed several milestones since taking over from Rubiton as Victoria’s champion stallion. 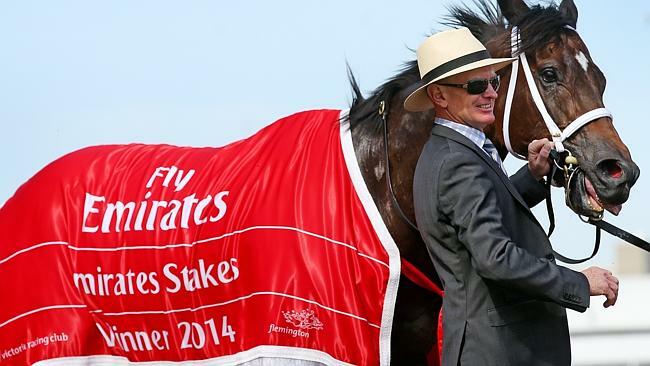 He equalled the Australian record of 155 individual winners held by Commands in 2012-13. Since retiring to stand at stud at Eliza Park in 2003, he has sired more than 500 winners across 11 countries including 21 black type winners. 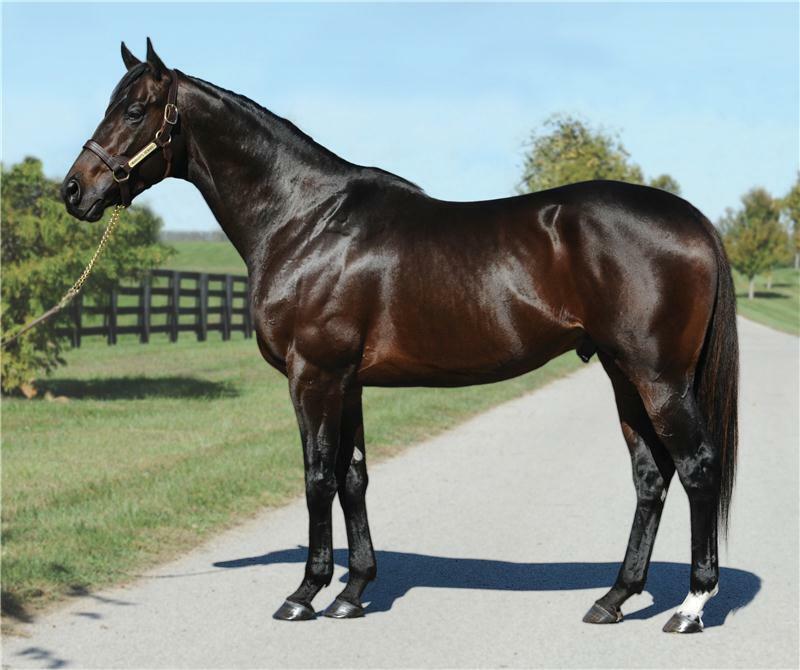 His progeny have earned more than $47 million in stakes. For each of the past 5 seasons he has sired more than 100 winners including a then national record of 155 winners in season 2012/2013. 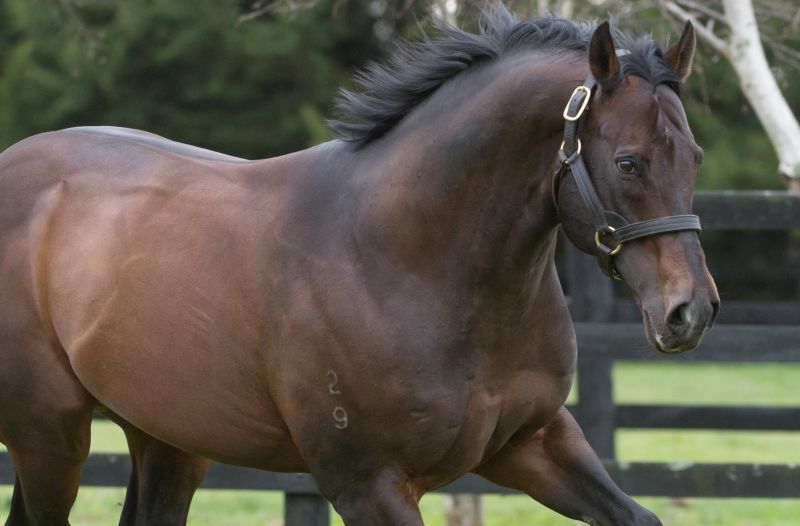 Bel Esprit sired his 500th individual winner when Another Girl won an Ipswich maiden on May 20. Bel Esprit sired world-champion mare Black Caviar who stands alone as the greatest galloper ever bred in Australia. Other Group 1 progeny of Bel Esprit include Bel Mer and Bel Sprinter. This season sees the departure of Bel Esprit to Eliza Park International’s Queensland property where his Victorian, national and international feats will ensure he remains as popular as ever. Eliza Park International’s Mark Lindsay did however tell the awards audience on Sunday night that we may yet see the return of Bel Esprit to Victoria in future seasons. Bel Esprit’s legacy continues at Eliza Park at Kerrie in the Macedon Ranges with his son Moshe (brother of Black Caviar) now standing there and serving large books of mares. Chatswood Stud’s Blue Diamond winner Reward for Effort enjoyed a memorable 12 months to finish as the most successful Victorian first-season sire by winners and earnings for 2014-15. Representatives of Chatswood were presented with the First Season award at the annual Victorian Thoroughbred Racing Awards held at Crown Melbourne on Sunday night. Fast and precocious as a racehorse, Reward for Effort is the first Group 1 winning son of champion sire Exceed and Excel to go to stud and he’s wasted no time in making a mark. He sired 9 individual winners in Australia and added another in South Africa when Tender Mist was successful at Turffontein in April. The Murray Johnson trained filly Take Pride was his star performer winning at Seymour and Flemington prior to a stakes placing in the LR Talindert Stakes at Flemington. The Chatswood sire has got off to a brilliant start in season 2015/2016 with the Group 3 Vain Stakes win of the Peter Moody trained Gold Symphony. 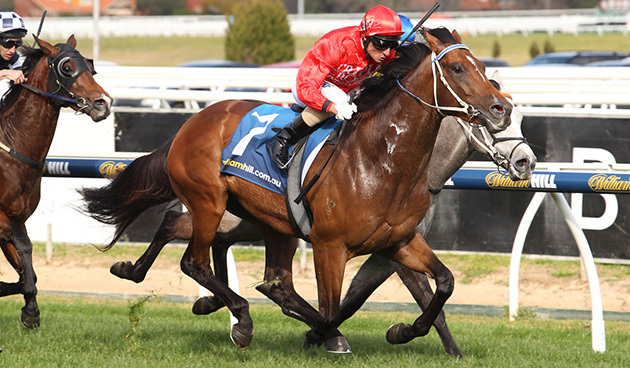 He has now been set for the Group 3 McNeil Stakes at Caulfield this Saturday. Reward for Effort retired to Chatswood Stud and has averaged books of 170 mares since 2011. His pedigree continues to move in the right direction with Exceed and Excel crowned Champion Australian Sire in 2012-13 and Champion Australian 2YO Sire in 2014-15. The bottom half of the family received a Group 1 update when his three-quarter sister-in-blood Overreach won the 2013 Golden Slipper. 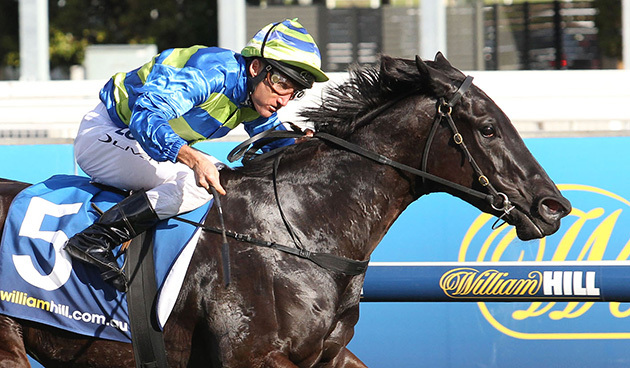 “His second crop looked even better that the first,” Chatswood Stud’s Greg Willis said. Reward for Effort stands for $11,000 (inc gst) and his Inglis Melbourne Premier yearlings achieved a median price of $60,000 in March. Overall, his top-priced second-crop yearling was the $160,000 colt from Tarcoola Ice (Zeditave) that was purchased by trainer Andrew Noblet. Macedon Ranges thoroughbred breeding operation, Contract Racing, has secured the 2014/2015 Leading Victorian Breeder award for the 2nd year in a row. The award was accepted by the Moodie family, including Jenny and David, at the annual Victorian Thoroughbred Racing Awards held at Crown Melbourne on Sunday night. The progeny of this consistently high achieving breeding operation achieved the highest earnings around Australian racetracks of any Victorian breeder. Runner up was Darley Northwood Park. Contract Racing’s successes included Group 1 Goodwood winner Flamberge (by Exceed and Excel), Group 3 winner Solicit (Street Cry), as well as black type winners Hard Stride (Street Sense) and Cadillac Mountain (Reset). Another Contract Racing bred horse, Rough Justice (Wanted), was the VOBIS Horse of the Year for 2014/2015. The 2015 TBV Stallion Nomination Fee Auction held at the Inglis August Thoroughbred Sale on Friday raised a total $76,000. Seven stallions from Victorian studs were represented in the auction with Darley’s dual three-time Group 1 winning sire Helmet obtaining the highest price. A relative newcomer to the local industry, Yu Long Investments, paid $25,000 for a service to the Darley sire who has his initial crop of Victorian bred two year-olds ready to race this season. Services were also offered to Written Tycoon by Woodside Park Stud, Toorak Toff (Rosemont Stud), Stryker (Three Bridges Thoroughbreds), Puissance de Lune (Swettenham Stud), Statue Of Liberty (Eliza Park International) and Hampton Court (Spendthrift Farm). “Thoroughbred Breeders Victoria is very thankful to each of the seven stallion farms for their generous donations of service fees,” said TBV Executive Officer Patrick Clancy. Bullarook Park’s Strategic Maneuver is beginning to make a mark with his first-crop three year-olds. He sired a winning double last week with promising fillies Tempt Me Not (Canterbury) on Wednesday and Microsecond (Devonport) on Sunday. Tempt Me Not is a Gooree Stud homebred and she produced a perfectly-timed run to score a comfortable half-length victory over older horses for owner Eduardo Cojuangco. The Canterbury winner went into the race with form around San Domenico Stakes winner Japonisme. She is the first foal of Ganda (Encosta De Lago), a daughter of Gooree Stud Group 1 winning filly Tempest Morn (STC Ansett Australia Stakes & SAJC Australasian Oaks). Cummings said Tempt Me Not will head to Melbourne for a stakes race down the straight at Flemington during the Melbourne Cup carnival. Strategic Maneuver’s Tasmanian based filly Microsecond got off the canvas to win second-up for trainer Scott Brunton. She was headed by Gee Gees Blondie close to home but refused to surrender and fought back to nail the favourite by a nose. Microsecond is the first foal of Millisecond (Canny Lad) and was bred by Bullarook Park owner Malcolm Boyd who races her in partnership with Fiteni. Her dam is related to the Marscay stakes winning sprinters Jetball and Marwina. Strategic Maneuver (Royal Academy) won on debut at Randwick but broke a pedal bone second time out at Canterbury. Boyd stands Strategic Maneuver at Bullarook Park in Avenel for a $6,600 (inc gst) fee. After a couple of false starts, a deal has been sealed for last-start exciting Melbourne winner Most Wanted to race in Hong Kong. 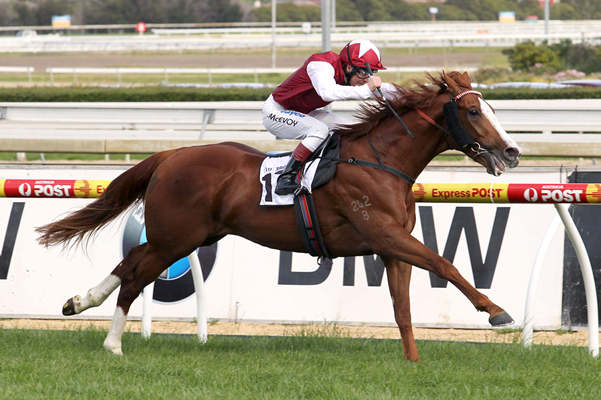 The son of G1 Newmarket Hcp winner Wanted will race for clients of trainer Richard Gibson. Most Wanted was initially under an off-shore offer before he raced and there were more bids after he scored on debut at Flemington a fortnight ago. “The asking price went up considerably after that win,” trainer John Sadler said. Most Wanted (3g Wanted – Ripping Nic by Encosta de Lago) was bred and raced by Owen Egan and he has a yearling sister to the Hong Kong bound gelding. Their dam has also foaled winners by Fastnet Rock, Dash For Cash, Tale of the Cat and Footstepsinthesand. Owen had catalogued Most Wanted for the 2014 Inglis Melbourne Premier through the Glenelg Park draft but withdrew him prior to the Sale. 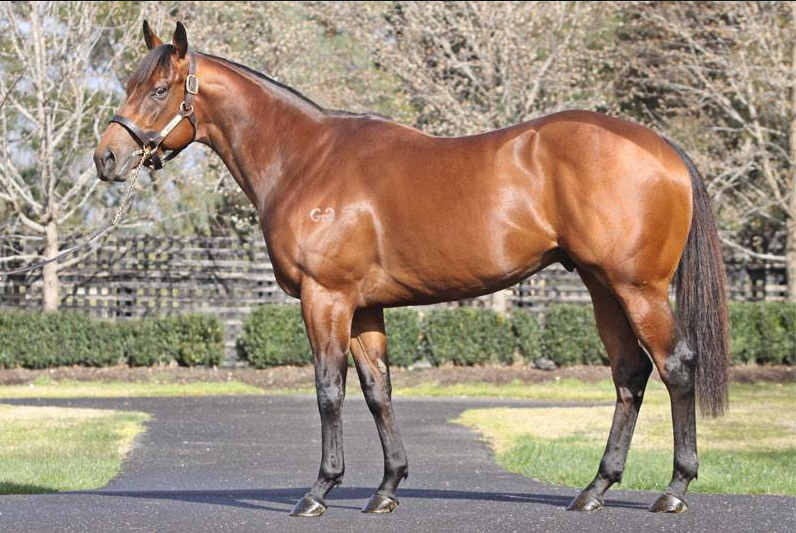 Wanted (Fastnet Rock) stands for a $16,500 (inc gst) fee at Eliza Park International. Best Bold has joined his stablemate Devils Pinch as the second Peter Moody trained winner this month by Swettenham Stud shuttler Equiano (Fr). 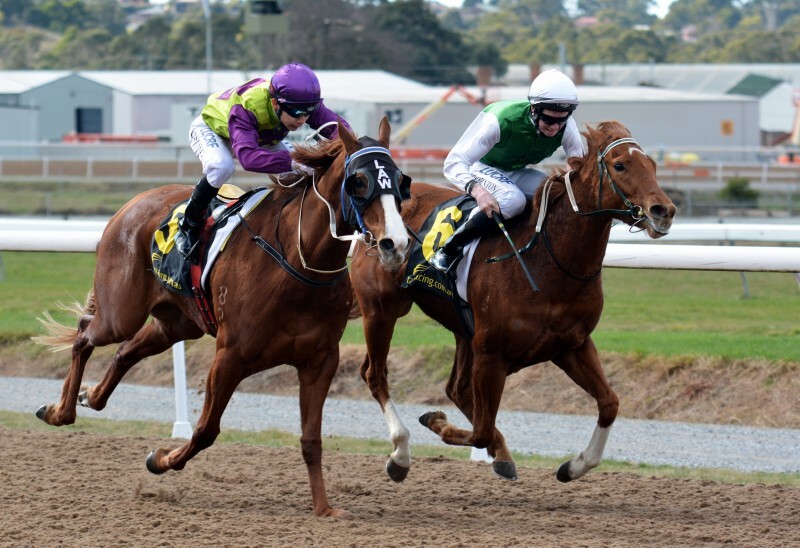 He started a $4.20 favourite after a narrow loss first-up at Bairnsdale and swept home to score by a head in the Lloyd Sound Plate (1209m) at Seymour on Wednesday. Best Bold (3c Equiano – Crimson Code by Redoute’s Choice) was a $55,000 buy for Singapore-based expat Victorian horseman Cliff Brown at the 2014 Inglis Melbourne Premier Sale. His dam Crimson Code has also foaled Kaphero winner Barcode and she has a 2yo filly by Keep The Faith. Meanwhile, Moody has accepted Devils Pinch to follow up his August 7 debut victory in the Super VOBIS 3YO Hcp (1200m) at Sandown Lakeside on Wednesday, August 26. He will take on fellow Equiano winner Del Piero (trained by Wendy Kelly) in this VOBIS Gold bonus race. Moody knew Devils Pinch had ability back in March – the Caulfield trainer purchased his younger sister by Equiano from the Swettenham Stud draft at the Melbourne Premier yearling sale. Their dam Miss Shakira (Snippets) has also foaled Adelaide stakes winning sprinter Tropic Thunder (More Than Ready) and there’s plenty of stamina close up in the family through G1 Victorian Derby winner Rebel Raider. An Equiano – Class Prevails colt was another likely type on Moody’s shopping list at Oaklands Junction. His dam descends from Palace Revolt (G1 Sydney Cup) and she won at Sandown as well as being stakes placed at Moonee Valley. Her Equiano colt has been named Jackanory. Equiano currently leads the English second-season winners and wins premiership with 30 winners of 40 races. Three weeks into the 2015/2016 Australian season, Equiano also jointly (with Bullarook’s Strategic Maneuver) holds first place in the Second Season Sire (by winners) table. Swettenham stands Equiano for a $13,750 (inc gst) service fee. Strykum landed the first stakes win for Three Bridges Thoroughbreds sire Stryker earlier this year and more black-type could be on the cards after her first-up victory in the Quest Moonee Valley Plate (1200m) on Saturday. Strykum (3f Stryker – Dinkum Star by Happy Giggle) led from go-to-whoa and trainer Lee Freedman is looking ahead to the spring carnival with his talented filly who won the LR Queen Adelaide Stakes at Morphettville in May. The Stryker filly was bred by Three Bridges and made $12,000 at the 2014 Magic Millions National yearling sale. She has now earned $99,300 and holds a Group 1 nomination for the Thousand Guineas at Caulfield in October although Freedman believes a mile might be too far at this stage of her career. Her dam Dinkum Star earned black-type as a two year-old in the LR Dequetteville Stakes and she had already foaled winners by Reset, Elvstroem and Fastnet Rock. New Zealand based filly She Is Stryking is another Stryker heading for stakes company after impressively breaking her maiden at Taupo on Wednesday. She was placed in the G2 Wakefield Challenge Stakes & LR Murdoch Newell Stakes at two and trainer Frank Ritchie is setting her for the in the LR O’Leary Stakes at Wanganui on September 5. Stryker (Fastnet Rock) was a Group 3 winner of the BTC Classic at Doomben and Three Bridges stands him for an $11,000 (inc gst) fee. Lauriston Park resident Desert King (Ire) sired his second feature winner in Western Australia this year when iron-horse Desert Glow stormed home for a three-quarter length victory in the $100,000 Broome Cup (2200m) on Saturday. Desert Glow’s younger sister Real Love had landed the G2 Perth Cup (2400m) at Ascot on New Year’s Day. It was a victory to savour for trainer Rob Gulberti who saddled last year’s Broome Cup runner-up Gladstone. His father Gary Gulberti had endured a frustrating run of placings in the same race with Easy Rhythm (2001), Killadeas (2002 – 03), Russian Spirit (2004) and Tearinupthecountry (2010). “We’ve been here before and it has been a bit of a disappointment,” Gulberti said. Desert Glow (5h Desert King – Flaming Heart by Salieri) was bred and raced by Bob Peters for wins at Ascot and Pinjarra before going bush for placings in the Esperance and Geraldton Cups. He transferred to trainer Justin Warwick at the start of last season before changing hands again for his latest campaign on the Pearl Coast. Cups are somewhat of a speciality for Desert King who is best known as the sire of Melbourne Cup legend Makybe Diva and weight-for-age star Desert War among a total of 27 stakes winners. Desert King (Danehill) is one of Australia’s best sources of stamina and he is thriving under the care of Chris and Kathie Bakker at Lauriston Park in Creighton’s Creek where he stands for a $6,600 (inc gst) fee. For further information on Desert King visit the Lauriston Park website or contact Chris Bakker (0427 903 353) or LP Stallions Julie Nairn (0402 901 910). Foal gallery – submit your Victorian foal and win lunch for two! Last year’s beautiful competition winner was a Yarran Thoroughbreds’ foal by Street Boss out of Lavnova. 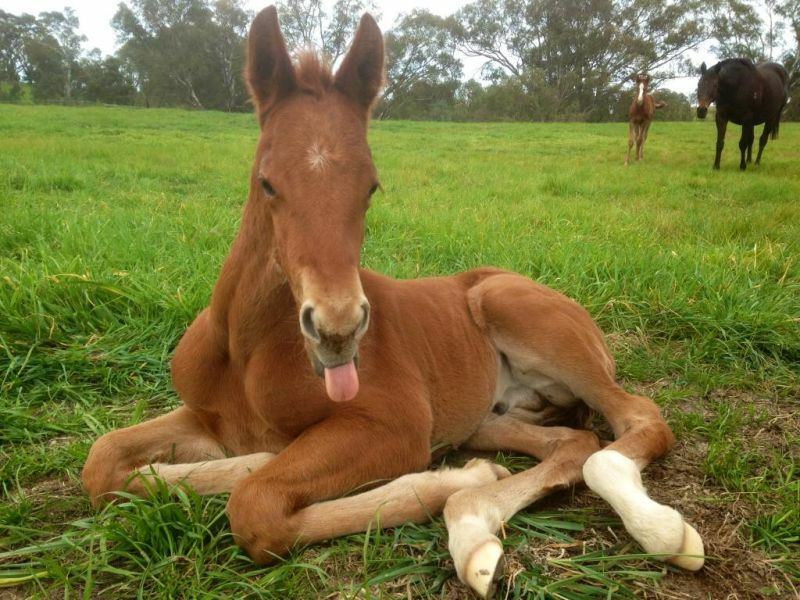 TBV has launched its 2015 Gallery and foal photo competition. The 2015 Foal Gallery is now open for viewing and available for TBV members to submit pictures of some of Victoria’s finest new members of the throughbred industry. At the end of the foaling season, an esteemed committee of equine photographic experts from all parts of the world will have a long lunch to determine who will win the prize of the best foal picture! Seriously, though, we will choose a picture based on originality and all-round cuteness with the winner receiving a delightful lunch for two at a fantastic location. The Rosemont Stud-bred and sold Alboran Sea was named Champion 3YO Filly at the South African Equus Awards in Johannesburg on Tuesday. Early on, it looked as if Australian-bred filly Majmu (Redoute’s Choice) was a shoo-in for the Champion 3YO Filly award until Alboran Sea picked up a pair of Group 1 wins against older horses later in the season. The Rock Of Gibraltar filly is trained by Mike de Kock and already had a Group 1 win on her resume as a two-year-old, but flourished into one of the country’s finest sprinters in her three-year-old year. Last season Alboran Sea netted three wins and two placings from six starts, highlighted by Group 1 wins in the Kenilworth Cape Flying Championship and the Turffontein Computaform Sprint both over 1000m, before running second in the Group 1 City Of Pietermaritzburg Sprint, shortly after which she was retired due to injury. The filly is owned Michael Javett and Mary Slack and was purchased by Form Bloodstock for $105,000 at the 2013 Inglis Premier Yearling Sale. Alboran Sea’s family continues to kick goals in the sale ring with her sister Pink Jubilee selling in foal to Sepoy for $270,000 at the 2015 Inglis Broodmare and Weanling Sale from the draft of Three Bridges Thoroughbreds. Her yearling half-brother by Toorak Toff was sold from the draft of Rosemont Stud to Hong Kong interests for $300,000 at the Inglis Easter Yearling Sale earlier this year. Hoofnote: Rosemont Stud received another fillip when Sacred Star was crowned Champion NZ Sprinter for 2014-15 following Group 1 victories in the Telegraph Hcp and Waikato Sprint. Rosemont owns his dam Irish Nova (O’Reilly) and also has his yearling half-brother by Stratum.